The threat to health from a warming planet and directly from ExtremeEnergy extraction processes is tremendous. The relatively new technological processes of ExtremeEnergy, such as fracking rely on powerful toxins to facilitate their processes. The adverse health effects from these toxins affect virtually every system of the body. These include neurological, pulmonary, gastroenterological, dermatological, immunological, hematological, endocrinological, ophthalmological, reproductive, and genetic illnesses and abnormalities. Intense or chronic exposure to some of these toxins and combinations of toxins can result in death. In the coal mining areas of West Virginia, studies have found unusually high rates of birth defects, cancer, heart disease, lung disease, kidney disease and mortality. Similarly, the toxins found in fracking fluid have been linked to cancer, infertility, ADHD, autism, diabetes, asthma and many more diseases. The threats to health from a warming world are far graver than heat related illnesses and deaths, despite their seriousness. Rising temperatures also spread illness, disease and allergens. Ground-level ozone (smog) production increases in warm temperatures when pollution from cars and other sources mix. Ozone can damage lung tissue, increase respiratory and heart disease and cause death. 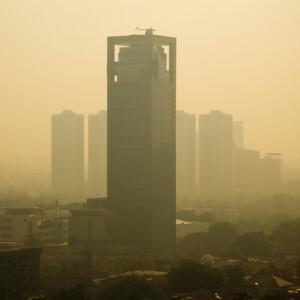 Studies have shown that even modest increases in smog can cause asthma in children. Rises in carbon dioxide levels and temperatures will lead to more severe allergies and asthma. A study by the National Institute of Environmental Health Science found that increased carbon dioxide levels stimulated ragweed-pollen production by more than 50%. Other respiratory illnesses like COPD will likely also increase from ozone as well as from the increase in wildfires. The intensity of rainstorms from climate change will bring more waterborne disease. A study conducted at the Johns Hopkins Bloomberg School of Public Heath found that more than half of the waterborne disease outbreaks in the United States in the past 50 years were preceded by heavy rainfall. The most common type of waterborne disease is acute gastrointestinal illness like salmonella, but waterborne diseases also include hepatitis A, malaria and cholera. Studies have also shown a correlation between rising temperature and cases of salmonella. Rising temperatures will allow mosquitos to expand their range as once cooler climates and higher elevations become mosquito habitats. 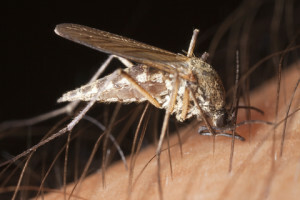 In a2006 Paper, on the spread of the West Nile virus, William Reisen reported that higher temperatures make it easier to transmit the illness. Lyme disease will spread to habitats that were formerly too cold for the disease carrying ticks. The range of these ticks is likely to spread northward as air temperatures rise. 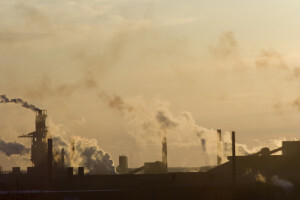 The majority of adverse health effects of climate change will be experienced disproportionately by people with weak immune systems, the elderly, very young children, the poor and low-income communities around the world. In 2009 the Global Humanitarian Forum published The Anatomy of A Silent Crisis – Human Impact Report, Climate Change, which detailed the increased vulnerability and lower levels of capacity of low-income communities to cope with environmental change.